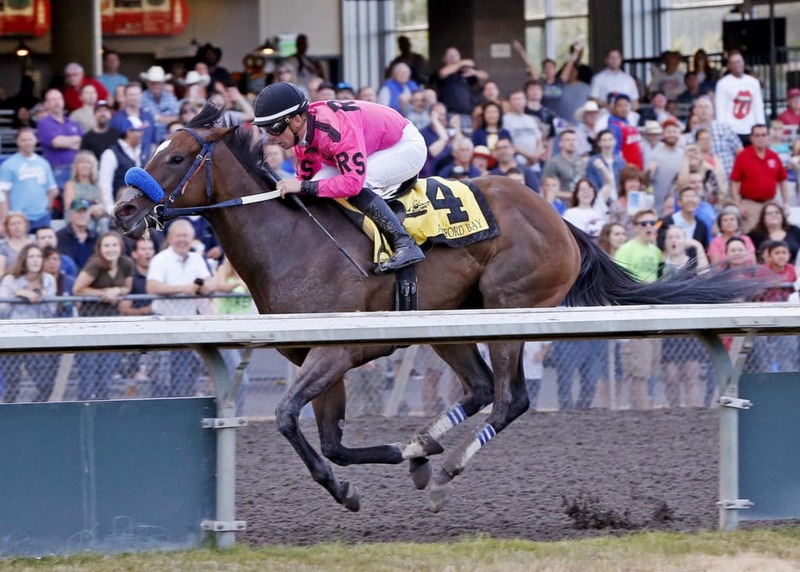 AUBURN, Wash. (June 16, 2018) – Alliford Bay overhauled stable mate Invested Prospect past mid-stretch and powered home for a four-length victory Saturday in the $50,000 Washington State Legislators Stakes for older fillies and mares. Ridden by Julien Couton at 121 lbs, Alliford Bay ran 6 ½ furlongs in a meet-fastest 1:14.86, and paid $3.40, $2.40 and $2.20. 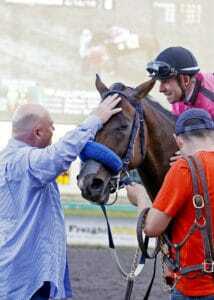 Blaine Wright—winning his fourth straight stakes at Emerald Downs—is the trainer for owner Peter Redekop of Vancouver, B.C. No Talking Back, ridden by Anne Sanguinetti at 117 lbs, rallied from far back for second and paid $4.80 and $4. Invested Prospect, with Kevin Orozco aboard at 123 held third and paid $3.40. Wright has tremendous depth in the older filly and mare division throughout the Northwest. In addition to saddling the first, third and fifth place finishers in the Washington State Legislators—Alliford Bay, Invested Prospect and Strip It Down—he also won Saturday’s $50,000 Strawberry Morn Handicap with Dave Mowat’s Top Quality at Hastings Racecourse. Alliford Bay captured the first two older filly and mare stakes at Hastings, both 6 ½ furlongs, with easy victories in the Brighouse Belles and Vancouver Sun. With the Strawberry Morn carded at a mile and a sixteenth, she was shipped to Emerald Downs to take advantage of another 6 ½-furlong stakes race. A 4-year-old Kentucky-bred by City Zip, Alliford Bay is 6-1-1 in 11 starts with earnings of $160,997, including $26,675 for Saturday’s triumph. She has five stakes wins—two each at Emerald Downs and Hastings and one at Sacramento. The combination of Wright and Couton has been great at Emerald Downs. They are now 23 for 55 the last two seasons with six stakes wins and over $340,000 in purses. 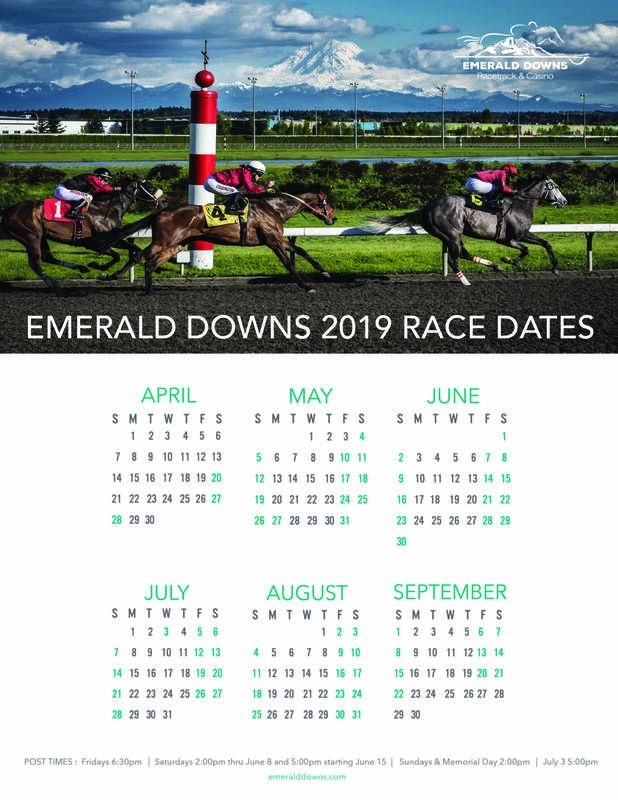 Wright has won four straight Emerald Downs’ stakes—Invested Prospect (Hastings Stakes), Riser (Governor’s Stakes), Bella Mia (Kent Stakes) and Alliford Bay (Washington State Legislators)—and is 15 for 40 in stakes the last two seasons. NOTES: Couton rode four winners on the eight-race card—his fourth multiple-win day in the last five racing days—and has surged into third place with 23 wins. . .Wright is now No. 8 all-time with 27 stakes wins at Emerald Downs. . . Huya ($22) ran the fastest mile of the season, 1:34.60, while easily winning Saturday’s seventh race under Couton. Candi Tollett is the trainer for owners Drew and Jamie Baker and Todd and Shellie Nicklos. . .First-time starter Aikman Treasure ($19.80) rolled to an easy victory in Saturday’s second race and is the younger sister of Roman Boos, who captured the Friday nightcap. A 2-year-old Idaho-bred filly by Comic Strip-Roman Juliet, Aikman Juliet zipped five furlongs in :57.39 under Anne Sanguinetti for trainer/co-owner Paul Treasure. . .In Saturday’s other 2-year-old race, Sunshine Emily ($15.60) collared Sari’s Tiger for a three-quarter-length victory in :51.87 for 4 ½ furlongs. The winner is a Sixthirteen filly and was ridden by Austin Solis for Frank Lucarelli and R.E.V. Racing. . . Live racing continues Sunday with a 10-race program featuring the $50,000 Coca-Cola Stakes for 3-year-old colts and geldings at 6 ½ furlongs. First post is 2 p.m.